First and foremost, Leonidas was one of the few Spartan kings, who was a professional military man. Unlike the Spartan kings before and almost all the Spartan kings after him, Leonidas “enjoyed” the complete program of military training imposed on Spartan citizens from boyhood through ten years of active service, and a lifetime in the reserves thereafter. Thus, Leonidas was one of the only Spartan kings as familiar with every formation and drill employed by the Spartan army as his troops, and as adept with the use of weapons as his fellow citizens. Equally important, having been an ordinary ranker, he knew exactly how they thought, felt and reacted. Leonidas was as much a soldier as he was a commander. This was a significant advantage. It was what made other Spartan commanders like Brasidas and Lysander effective as well. Nor was his experience confined to the drill-field. Although Sparta in the late archaic was not a city perpetually at war (though readers of Steven Pressfield’s novel Gates of Fire can be forgiven for being misled into believing this), in Leonidas’ lifetime Lacedaemon was engaged in a number of significant military campaigns. Thus, while Leonidas never fought the more than 20 campaigns Pressfield fantasizes about, he would have gained second- or first-hand experience from a more limited number of wars. First, when Leonidas was still a child or youth (depending on his date of birth), Sparta made an unsuccessful attempt to drive the tyrant Polycrates out of Samos. Notably, this required deployment of a considerable force by sea and involved a forty day siege as well as an assault in which some of the Spartans managed to break into the city, but were then cut off and killed. The rest returned. The failure and the loss of life must have been the topic of many discussions in syssitia across the city for many years of come – probably with recriminations and a lot of “Monday-morning-quarterbacking.” Leonidas, as a young Spartan male serving in the syssitia as part of his upbringing, would undoubtedly have listened avidly to the accounts of this campaign as told by the veterans, who took part. Roughly ten years later, Leonidas’ half-brother Cleomenes undertook an invasion of Attica, again by sea. Once again, Sparta’s expeditionary force was defeated and driven back to their ships, this time by Thessalian cavalry. Leonidas was by this time very likely in his late teens, if not already a young man. Conceivably, he even took part in this expedition, but if so only in a subordinate capacity as an ordinary ranker. Whatever his age and role, Leonidas would have learned a valuable lesson, at least second hand, about the capabilities of cavalry and the advisability of not under-estimating it. Cleomenes undertook no less than three additional campaigns against Athens. In the first, he successfully dislodged the Athenian tyrant Hippias, but in the second, in which he sought to drive out Cleisthenes and restrict Athenian democracy, he found himself bottled up on the acropolis by the outraged Athenian masses and had to negotiate a truce to withdraw – with his tail between his legs. Given the small and evidently informal nature of these first two campaigns (Herodotus suggests both campaigns were conducted with small volunteer forces), it is unlikely that Leonidas was an active participant in either of these expeditions. Burning from the humiliation of his second defeat, however, Cleomenes called up the full Spartan army and the allies of the Peloponnesian league. Spartan law at this time, however, did not allow the full army to deploy outside of Lacedaemon without both kings in command, so Cleomenes was accompanied on this fourth campaign against Athens by his co-monarch Demaratus. Demaratus was not as enthusiastic about invading Attica as Cleomenes – and nor were the Peloponnesian allies. Cleomenes’ army got as far as Eleusis, but there the Corinthians drew the line. They had no quarrel with Athens, and they refused to continue. Demaratus sided with the Corinthians. The allied army disintegrated, and the conflict between Cleomenes and Demaratus hog-tied the Spartan army as well. The Spartans had no choice but to return, undefeated but humiliated again. Leonidas was almost certainly present with the Spartan army during this last campaign against Athens. Depending on his date of birth, he might already have been a junior officer. Regardless of his military rank, as Cleomenes half-brother and heir apparent, he almost certainly knew what was going on in the command tents, if not directly, then indirectly. While the campaign would have provided him with no combat experience, it would certainly have taught him a great deal about operations involving multi-national forces – a lesson that would be very important for his later life. The next major military campaign of Leonidas’ lifetime was the campaign against Argos that culminated in the dramatic Spartan victory at Sepeia. This campaign again involved the entire active Spartan army, so Leonidas’ participation is almost 100% certain. Significantly, it also contained a nautical component: the Spartan army was ferried across the Gulf of Argos from Thyrea in Lacedaemon to Nauplia in the Argolid. There followed a massive confrontation with the full Argive army that was at least as numerous if not larger than the all-Spartiate force facing it. Although the Argives had learned how to read the Spartan signals, Cleomenes cleverly took advantage of this to mislead the Argives into thinking the Spartans were standing down for a meal. As soon as the Argive phalanx broke up, he attacked. The ensuing slaughter allegedly deprived Argos of a generation of fighters, but Cleomenes singularly failed to follow up his battle-field victory with the occupation of the undefended city of Argos. The “lessons learned” for Leonidas would have started with the flexibility of deployment offered by seaborne transport, and included the importance of intelligence (the Argive familiarity with Spartan signals), and, of course, the advantages of surprise. 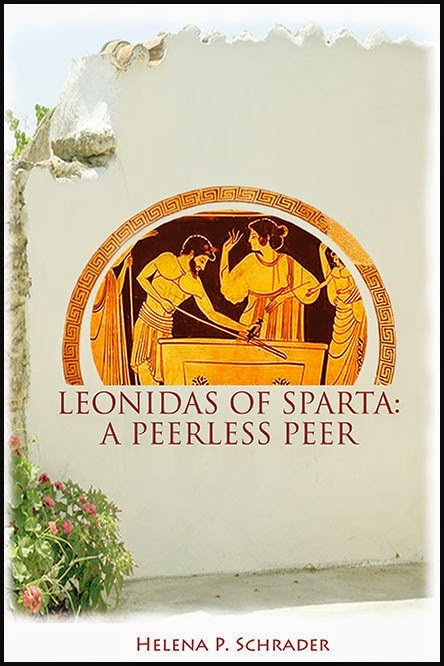 What Leonidas thought of his brother’s slaughter of prisoners and the burning of a sacred wood is unrecorded, but in the absence of evidence to the contrary, we should assume he shared popular Spartan opinion – and this was to put Cleomenes on trial for treason. The accusation was that he had taken a bribe not to take Argos when it lay undefended before a victorious Spartan army -- probably because the prosecution could think of no other plausible reason why such a splendid opportunity would be wasted after over two hundred years of bitter hostilities. Herodotus specifically says that Cleomenes was charged by his “enemies” and that he was acquitted because he convinced the ephors that he could not get favorable signs from the gods. By this time, Lenoidas was probably already married to Gorgo, and he was Cleomenes’ heir. It is unlikely that he would have been counted among Cleomenes’ enemies. It is almost equally improbable that he approved of Cleomenes behavior. Cleomenes was acquitted of taking a bribe and he defended himself with weapons (the will of the gods) against which the ephors were helpless; that is not the same thing as saying his actions were applauded even by his supporters. Furthermore, Leonidas will have taken careful note of the fact that failure to exploit a victory – much less defeat -- could put a king in jeopardy. The next significant military engagement of Leonidas’ lifetime was one in which Sparta played no direct role and yet it may have been the most decisive military moment in Leonidas life prior to Thermopylae: the Battle of Marathon. To summarize, Leonidas very probably led the two thousand Spartiates that arrived in Marathon after a dramatic forced march that enabled them to cover the distance from Sparta to Athens in less than three days -- but one day after the decisive battle had been fought. He would have toured the battlefield in company with Athenian commanders and fighters, gleaning a great deal of information about the Persians, their weapons, armor, tactics and morale. He would also have gained considerable respect for Athenian (and Plataean) fighting capacity. Leonidas would have seen first-hand at Marathon that Greek hoplites could withstand Persian missiles and Persian cavalry and inflict dramatically higher casualties than they suffered. However, it would also have left a psychological scar: the sense of having come too late. To be sure, Leonidas allegedly knew from the Delphic oracle that his own fate was sealed. He presumably expected to die, but there was no reason to assume his death would be futile. On the contrary, Delphi had promised to save Sparta, if one of her kings fell in battle. Leonidas most likely believed (or wanted to believe) that although he would die, his army would be successful. Nor did he expect all the Spartiates he took with him to die. The fact that he took only the fathers of living sons north with him was not because he expected them all to die, but because he expected some of them would die. He did not want to risk the extermination of even a single Spartiate family – not when he had so many men to choose from. Leonidas’ tactical competence at Thermopylae has been questioned primarily because of his failure to put Spartiates on the mountain trail by which the pass was turned. The argument is that he failed to take the risk to his flank/rear seriously, and the positioning of Phocian troops on this critical route was amateurish. Hindsight is always clearer than foresight. But even with hindsight, it is not completely convincing that Leonidas should have risked splitting his already very small force to send, say, 100 Spartiates to guard what was essentially a goat-trail. Furthermore, one thousand men out of a force just six to seven thousand strong, represents a very significant commitment of troops available, and suggests Leonidas took the threat seriously indeed. To imply that a hundred Spartans would have been better than a thousand Phocians reflects modern fascination with the Spartan military myth, but can hardly be conisdered a serious military assessment. Leonidas’ evident assumption that the locals with the greatest stake in a successful defense of Thermopylae and the best knowledge of the terrain would be the best defenders of the flanking path is more convincing than modern dismissals of such logic. It is tempting to judge a strategy by its result – but that is not always fair. Otherwise, Leonidas appears to have developed a highly effective strategy for defending the Pass, one that effectively neutralized the superiority of numbers on the Persian side and enabled a comparatively small number of defenders to hold the overwhelming might of Xerxes army for two days. Although – or rather because -- Herodotus does not give us the casualties of the first two days, we can presume that they were not inordinate. The defense of the “Middle Gate” which was wider than the “Eastern” or “Western Gates” appears to have given the Greeks the optimal opportunity to reduce Persian pressure but bring sufficient of their own troops to bear. Equally impressive, Leondias evidently welded the diverse contingents together and succeeded in getting them to cooperate. Herodotus says that the allies fought in relays, or turns, so that the troops from each city had time to rest, refresh themselves and tend their wounds between taking their turn at the front. While this sounds logical and reasonable, it is far from self-evident. It would also have required considerable skill in execution – or each change would have produced confusion that the Persians could have exploited. 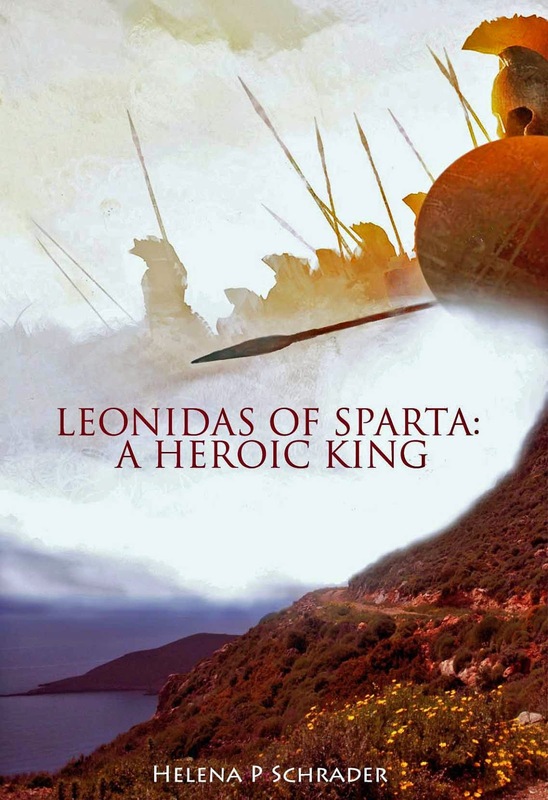 Leonidas' military career is described in books II and III of the Leonidas Trilogy. Buy now in ebook or paperback.